Its fizzy, it tastes like soda.. its in a cute little tin, its delicious! 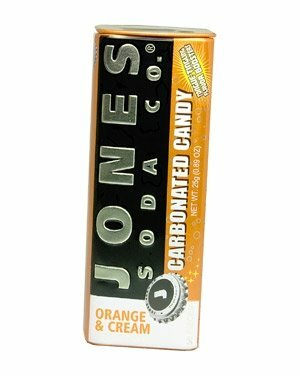 2.95 at http://www.jonessodastore.com/ My favorite was a cherry flavored one, although they dont have it online – The orange cream is also great.. I got this as a full sized sample in my Sheckys Goodie bag, and what perfect timing.. Right before I left for our vacation in Punta Cana. Beaches, Pools.. bathing suits in front of all my fiances friends and family. While this will not get rid of extreme cellulite, the L-Carnitine helps minimize it. 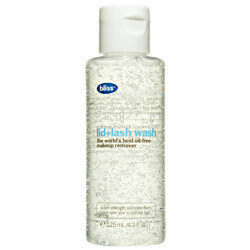 It smooths out mild dimples, makes your legs and buns look a lot younger. But remember, its only temporary, and once it washes off – your lil dimples will be back! I recommend this for people with mild cellulite – it really works. I want my eye makeup to come off with a little effort, and I dont want my eyes to burn, and I dont want to tug on my fragile little eyelids.. So I tried Bliss Lid + Lash Wash, and its wonderful! A cooling gel that takes my make up off with one or two swipes, and when I get it in my eyes (because you can’t avoid getting it in there) – it doesnt burn! With the hot summer months, you can even put it in the fridge for a nice extra cooling sensation.